~hanizeyecandy~ : Sold Out ?!!!! Seriously? 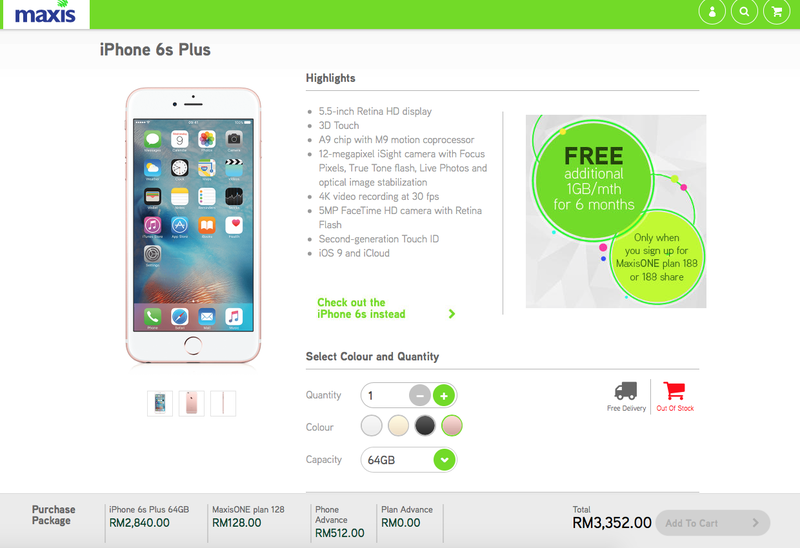 The pre order of iPhone 6s and iPhone 6s Plus is open today at Maxis online store. By 6:30 am iPhone 6s Gold / Rose Gold (64Gb, 128Gb ) and iPhone 6s Plus Gold / Rose Gold (64Gb, 128Gb ) are sold out! Hem how many phones does maxis get for October 16 release? It's ridiculous! I felt like they only have less than a hundred unit. Only the people that stayed up all night and really really want the phone got it. The price of the phone is not cheap. 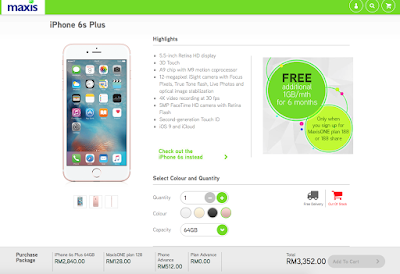 The lowest price is around RM3199 with 16GB. With GST and the currency crisis the price is doubled. Only super rich people can really afford the phone now. And I think I think Apple should stop producing 16GB phone. The minimum entry should be 32GB. The contract price from Maxis seems reasonable enough but I still think they can give cheaper price because we do pay a lot of money for the iValue package monthly. I bet they already made billions with that alone. Come on Maxis helps us out here. At the moment I just can't justify paying that much money on a phone which is going to be obsolete in a year. I hope and pray that our economy will be strong by end of the year and next year the price will go down. And they stop GST next year. I wonder why Apple Malaysia didn't have the system like in Apple US. All the telco service provider all in the same place and we just choose which one we want right on Apple store page. So there will not be any out of stock message. Anyway what do you think about the new iPhone? Will get it now or wait for the next one?